WILLEMSTAD – Per November 1 there will not be much change in the fuel prices on the island. 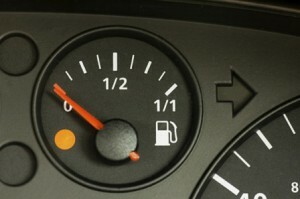 Gasoline will remain at 1.51 guilders per liter at the gas station. Diesel will be slightly more expensive; from 1.05 to 1.07 guilders per liter. Propane gas remains unchanged in price, namely 40 guilders for a large cylinder and 8 for a small cylinder. Electricity goes slightly up in price on November 1. The basic tariff is now 45 cents per kilowatt hour and that will be about 46 cents. Water also increases in price. Now it’s 7.17 guilders per cubic meter in the lowest tariff. After November 1, it will be 7.25 guilders. This tariff increase are primarily the result of higher oil prices.